What are Smart Meters, what do they do, how do they work? All questions you might have having heard about the government’s plans to have every home in the UK kitted out with them by 2020. First of all here’s a nice little video which helps to explain how smart meters work. The REPLICATE project in Bristol will be helping 240 households with new technology measures to make them warmer, cheaper and quicker to heat. Residents will benefit from reduced energy bills and experience connected living where new technology helps automate the process of saving you energy in your home and enables you to control appliances remotely to suit your schedule. You can then sit back and relax knowing you are saving money and helping the environment. To assist us we will be encouraging households to have smart meters installed which will help us to accurately see the impact the project has had. You may have heard about smart meters. But what are they and how do they work? We’ve put together some information to help you benefit from the smart meter roll out. 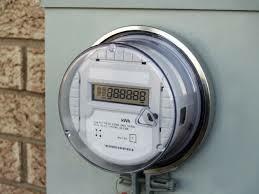 Smart meters measure your gas and electricity usage and what it’s costing you. This is usually displayed on an in-home display or available through a mobile phone app. Smart meters take the hassle out of figuring out what all those numbers mean on your old meters. Smart meters show a digital meter reading and automatically send the reading to your energy supplier at least once a month. This ensures you will receive accurate bills instead of estimates. Do I need a smart meter to participate in the REPLICATE Smart Homes project? Ideally all participants will have a smart meter but this is not essential as we are able to fit a clip on meter if your energy supplier can’t supply one. Our project team will help along the way finding the best solution for you. Everyone will be offered the opportunity to upgrade to a smart meter for free directly by their energy supplier but some suppliers are further ahead than others in their planned roll outs. You can click here to find your energy supplier and contact details. Here are some handy Frequently Asked Questions about Smart Meters. Interested in finding out more about how you could become a REPLICATE Smart Homes participant? The project team will be starting recruitment in autumn 2017 for the energy efficiency measures in homes making them warmer, cheaper and quicker to heat. Sign up for more information and to keep informed.